Whether it be holidays, movies, make-up or even men, it’s disappointing when you discover that the fuss lavished upon something (or someone) is totally undeserving. 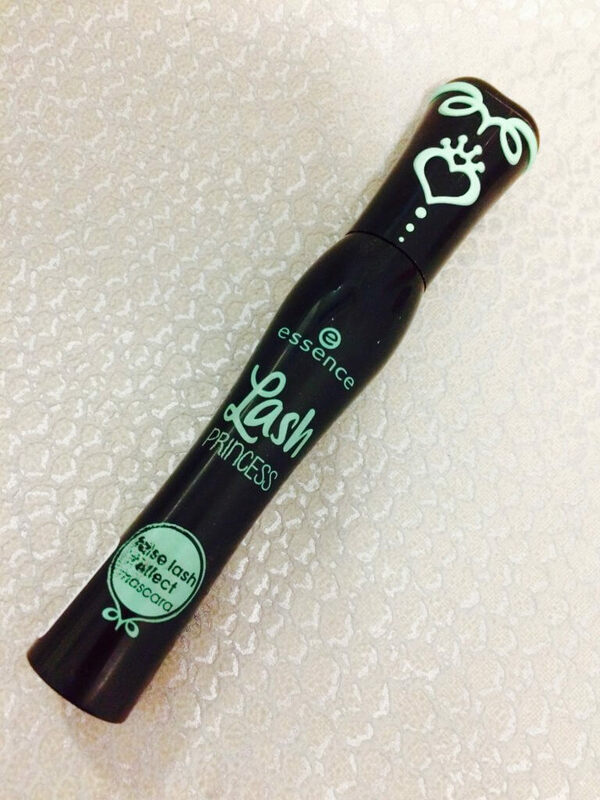 Now mascara has long been my ‘thing,’ so I was intrigued by the hype surrounding Essence’s Lash Princess False Lash Effect Mascara. Could this £3.30 mascara really live up to it’s own good press…? Where your wedding day is concerned, you just can’t compromise on mascara. It’s got to be everything you want: lengthening, volumising and most importantly of all, able to go the distance, no matter what’s hurled at it, be that happy tears, humidity or a shower of champagne! 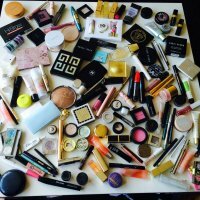 It’s got to deserve it’s place in your Big Day make-up bag. At the same price as a box of After Eights, this cute looking Essence mascara is cheap but is it wedding-proof? 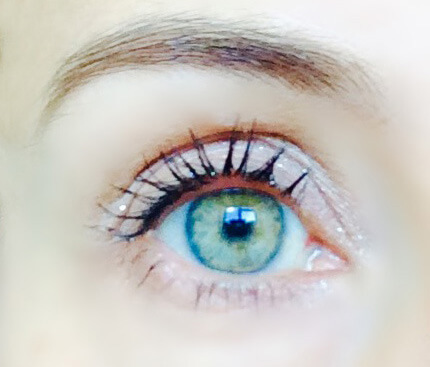 Now, thanks to nightly apps of serum, my lashes are naturally long but they lack volume. So my main criteria when choosing mascara is one that’ll give me a fatter flutter. I’m quite picky about both the wand and the formula. If the brush is too thin, it’ll struggle to make any impression on my fine lashes. But if it’s too fat, I end up in a mess. As far as the formula goes, the Goldilocks in me doesn’t like it too thin or too gloopy. 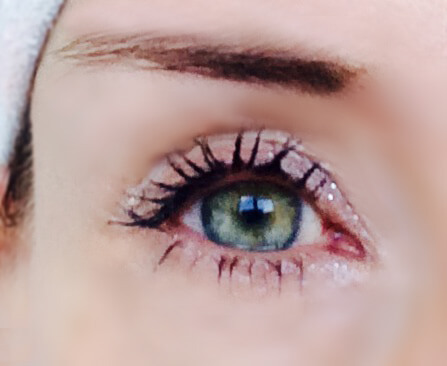 How long and thin they left my lashes looking, compared to no mascara. How they survived a sweaty hour-long Bounce class! Well, y’know, just in case you’re the type to make some serious shapes on the dance floor…. How they survived a shower! 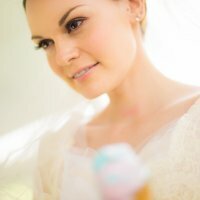 Not that you’ll take a shower during your wedding but I’m thinking happy tears…. How they looked fourteen hours after application. No flakes and no smudging! I’m really impressed by this budget beauty and am grateful to all the journos who made such a fuss about it as I’d have never found it on my own. Even if I had stumbled across the mascara section in Wilkos, Essence have another 18 variants to choose from, all with promises of extreme volume, maximum definition etc. A word about the packaging. It’s sweet and doesn’t feel particularly ‘cheap,’ though I struggle to see how it resembles an evening dress. So…. was Lash Princess False Lash Effect Mascara worth the money? Yes. Would I buy it for my wedding day? Yes. I got a ton of compliments about my lashes (mostly asking if I was wearing extensions!) But at a time when costs keep stacking up (favours, chair ties and table confetti for instance. Small but expensive) if you can save some pennies, it’s worthwhile. I’d never advocate scrimping on something that wasn’t worth it, or in the case of makeup, wouldn’t go the distance. But, in this case, £3.30 instead of my usual £28 mascara represents a good saving. What do you think? Have you tried it? Or have you any other budget buys you’d truly recommend? I can better that! Poundland!!! Guests may ask you where your dress or shoes are from, but not your mascara. If it works, why spend more……?